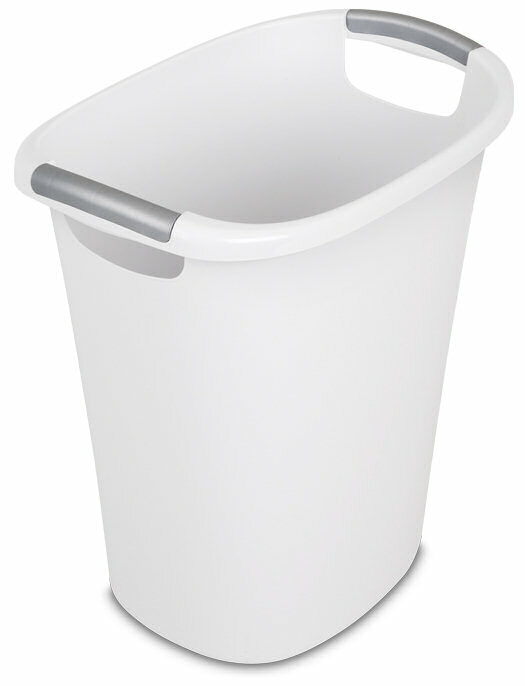 The 6 Gallon Ultra™ Wastebasket offers a stylish, glossy finish and contemporary oval shape that adds a fashionable element to any home or office décor. The color-accented inserts and through-grip handles integrated into the base provide a comfortable surface for easy lifting and transporting of items inside. The slim profile and easy-to-clean surface is ideal for use in the bathroom, bedroom, home office, kitchen or under the sink where narrow spaces require a space-efficient solution. 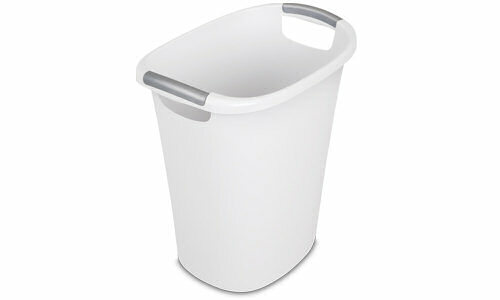 This wastebasket also fits neatly under a desk or office to conceal any trash or debris. 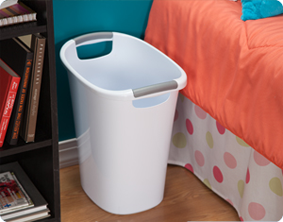 For added convenience, the wastebasket accommodates standard-sized trash liners available at retail. 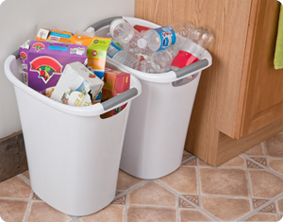 The overall dimensions of this item are 15 3/4" L x 11" W x 16 1/4" H.
Overall Assembled Size: 15 3/4" x 11" x 16 1/4"
Use two Ultra™ Wastebaskets to sort your recycling. The slim profile is ideal for bathrooms, small bedrooms and offices where space is limited.